Dodge Fire Engine - Motor No. 10 fitted with a 150/200g.p.m. pump officially handed over at the Road Board premises. 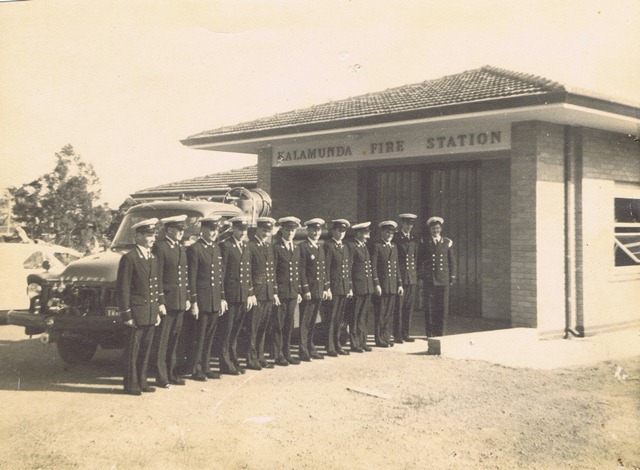 Approval given to construct a Fire Station in Kalamunda during the current financial year. First meeting held in the new Fire Station at 38 Central Road Kalamunda. 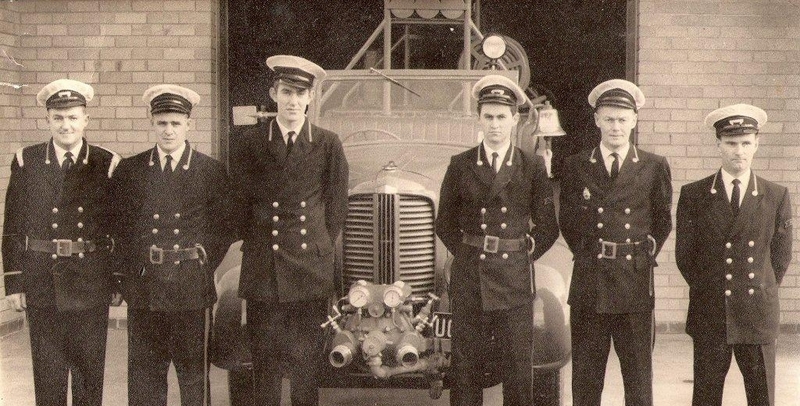 Bedford Fire Truck No.2 arrived on station and placed in service officially on the 1st August 1963. Licence No. KM000 had 97 miles on the clock. 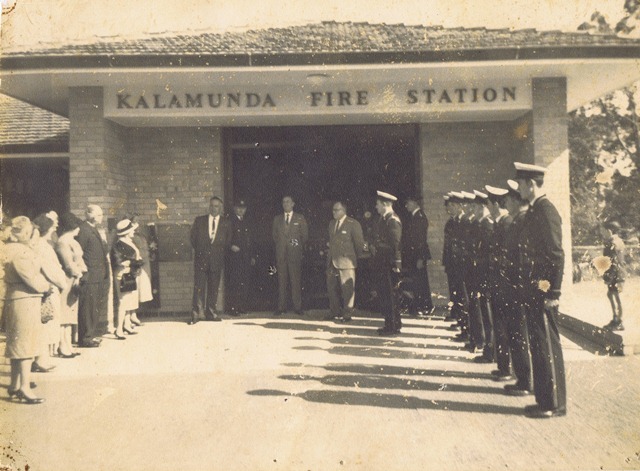 Kalamunda Fire Station was officially opened at 10.30am by the Hon Ross Hutchison Chief Secretary. The Brigade resolved to purchase the outgoing (13) brass helmets and give them to the members - to be distributed by seniority. The cost was 1 pound each. The supposed cause of a house fire was listed as "Careless housewife". The family had gone out and left a pot cooking on the stove. No sign of political correctness. Light Tanker Number 84 was introduced to the Brigade and this now makes KVFRS a two vehicle turnout Brigade. LT 84 was turned on its side. KVFRS attended its 1000th fire - a grass fire in Enid Road Kalamunda. This has taken 16 years and one month. Breathing apparatus is first mooted for the Brigade. Pagers are first mooted for the Brigade, but eventually shelved. Light Tanker 84 was replaced with a Ford F250 Light Tanker - LT 156. Light Tanker 156 was replaced with a Toyota Landcruiser - LT 61. It seems the 'blue oval' was not quite up to scratch. 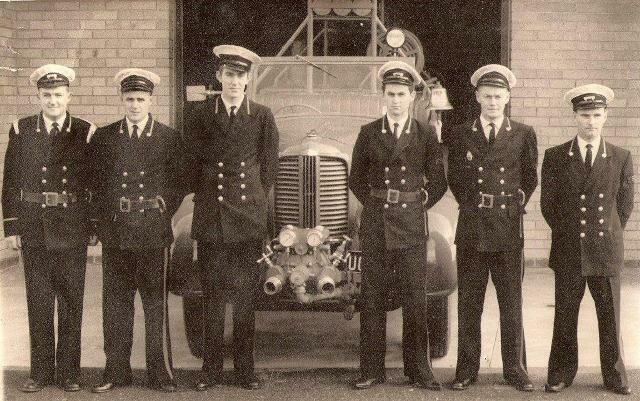 Six members were selected to be the first Kalamunda Firefighters to be trained in the use of Breathing Apparatus. The Brigade was to receive 5 pagers for evaluation. Extensions to the rear carpark commenced. Kalamunda Station conducted its first official Open Day (Saturday & Sunday) - run in conjunction with WA's 150th celebrations. Bedford Fire Truck No.2 was de-commissioned. In 19 Years 6 Months the appliance attended 1862 incidents. International ACCO Medium Pumper MP124 commissioned. KVFRS attended its 2000th fire - a grass fire in Kalamunda Road Kalamunda. The second thousand took 8 years and eight months. Brigade attends a kitchen fire in John Street Gooseberry Hill. Fire was caused by the owner leaving a pot on the stove which boiled dry causing extensive damage to the kitchen and smoke damage throughout. The significance is that the owner subsequently became a long serving member of the Brigade. At 12.18 the Brigade was called to probably its most traumatic incident - a traffic accident at the corner of Lesmurdie Road and Gladys Road Lesmurdie Three generations of one family lost their lives (Grandmother, Mother & Daughter) in a two car collision. The repercussions were felt for some time. At 15.21 a call was received to a property fire in Gooseberry Hill. A prompt response resulted in a woman being found by 2 firefighters wearing Breathing Apparatus. She had collapsed on the bedroom floor in a smoke filled house. Thanks to the their efforts and other firefighters outside administering mouth to mouth resuscitation, she was resuscitated and eventually made a full recovery - a rewarding effort by all. At 21.59 the Brigade was called to a car on fire at the top of Crystal Brook Road in Lesmurdie. The car was allegedly pushed over the side of the hill but no trace was ever found. KVFRS attended its 3000th fire - a shed fire in Haynes Street Kalamunda. The third thousand took 7 years and 5 months. At 2.32am the Brigade was called to assist at a well rescue in Lesmurdie. Prior to being called, a tragic series of events saw two lives lost when a young man entered a well and succumbed to toxic fumes. A well intentioned rescuer also became a victim and another almost lost his life as well. An Open Day at the Station was attended by an estimated 4000 people through the day. The highlight appeared to be the rides given on the Perth hydraulic platform giving the lucky few a spectacular view of the area and over the trees looking down to Perth. Who is the enemy? At a house fire in George Road Lesmurdie, the occurrence book shows that F/F Nick Rowe was KO'd by F/F Repacholi hitting him with a ladder. One can only presume it was not deliberate!!! Ex-Capt King (Captain for 10 years), a stalwart of the Brigade - over 33 years of service with the Kalamunda Brigade and a further 7 years with Bassendean Volunteers passed away. The Brigade celebrated its 40th birthday by gathering as many past members as possible for a function at the Kalamunda Ag Hall. The Brigade was called to a Hazchem incident where a few drums of unknown liquid had been spilled. This was minor compared to what else was in the pantech - millions of dollars worth of electrical equipment - stolen of course. The thieves had made off with what they wanted and left the rest. Unfortunately, the site by then was well guarded by police. At 3.22am the Brigade was redirected whilst at an incident, to attend a scrub fire at the top of Crystal Brook Road Lesmurdie. During firefighting operations, a Holden Commodore was found at the bottom of a ravine buried under bamboo with no one in attendance and no sign of how long it had been there. Could it have been the car 'lost' on the 28th January 1991. Probably not, but it makes a good story. An Open Day at the Kalamunda Station introduces the new Scania appliance to the public. International ACCO Medium Pumper MP124 de-commissioned. In 18 Years 8 Months the appliance attended 2956 incidents. Scania Medium Pumper MP65 was officially handed over to Captain Moiler by the Emergency Services Minister Michelle Roberts. Licence No. KM000 had approx. 2000kms on the clock. Kalamunda is not immune. At 8.47am a call was received to a telephone box at 161 Railway Road in Gooseberry Hill. A white powder is discovered in the phone box and the Brigade implements its procedures to deal with a possible anthrax threat. Ultimately it is found to be a talcum powder used by a telephone technician. KVFRS attended its 5000th incident - a car accident outside number 9 Lascelles Parade in Gooseberry Hill. Fortunately no one was seriously hurt and the Brigade just had to hose the road down. The fifth thousand took just under 5 years. At 1.42am en route to a small rubbish fire, the Brigade was redirected to a motor vehicle accident in Kent Street Maida Vale, which ultimately turned out to be one of the most bizarre incidents attended. On turning into the street, an 'old car body' was passed (rubbish pick up day was imminent). This was in fact the vehicle involved in the accident and debris was strewn for about 100 metres - it looked like an explosion had torn it apart. A late model Landrover Defender V8 had its back wheels torn out and the rear body of the car torn off. The driver had obviously been speeding, hit several trees and eventually decamped. He had attempted to drive the vehicle without its back wheels - and he did so successfully for 50 or so metres. Geoffrey Johnston passed away after an extended illness. Geoff was with the Brigade for 27 years and 7 months. He was an Officer for 8 years, which included 2 years as Captain. He was made a Life Member in May 1999. A popular figure, he will be missed. 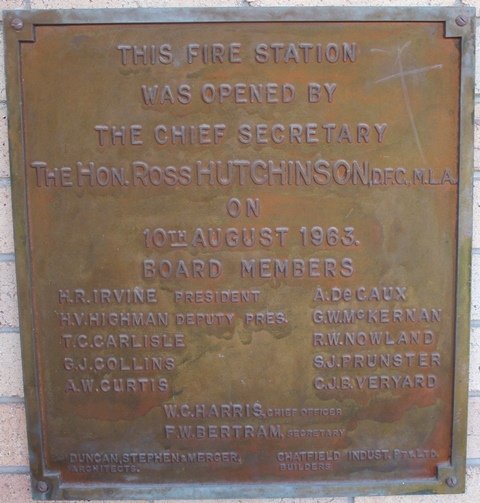 Arguably the biggest fire in the Kalamunda District started in Pickering Brook and ultimately burnt out an estimated 28,000 hectares of bush from Karragullen, Pickering Brook, Barton's Mill over to Mundaring Weir and even threatened the Mundaring townsite, Sawyers Valley and Mount Helena. Amazingly no lives or major property was lost. A new Light Tanker, LT376 was delivered to the Brigade with 303kms on the odometer. LT264 served the Brigade for 4 Yrs and 7 mths and had 20631 kms on the clock. At its second attempt at an Australasian competition, a team from Kalamunda took out a gold medal in the Pump Suction event. KVFRS attended its 6000th incident - a call to assist the BFS to a bush fire in Canning Road/Mason Mill Road in Carmel. The Brigades contribution was not required for an extended period. The sixth thousand incident took 5 years and 10 months. A reunion of members and ex-members was held at the Station to commemorate the 50th anniversary of the Brigade. Four Foundation members were included in the roll up of approximately 100 firefighters that made up the bulk of attendees. Seven of the past Captains also attended allowing a unique opportunity to have photos taken together. Light Tanker LT533 was delivered to the Fire Brigade to replace LT376. MK23 V8. Put into service on the 5th April 2014.